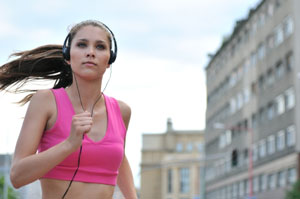 The General Microbiology audio titles covers the principles of General Microbiology. Microbiology set has 2 CDs covering the study of microorganisms, which are unicellular or cell-cluster microscopic organisms. Microbiology is a study of microorganisms and their association with other living thing. Some may cause diseases and most of them are harmless to humans but very useful in different ways. This study covers both harmful disease causing and beneficial aspects of microorganism. This General Microbiology audio set includes eukaryotes such as fungi and protists, and prokaryotes, which are bacteria and archaea. Viruses, though not strictly classed as living organisms, are also studied. Microbiology is a broad term which includes virology, mycology, parasitology and other branches. 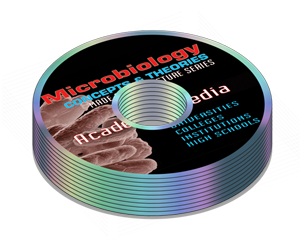 Microbiology audio titles are suitable for individual students, instructors and professors at career schools, vocational colleges, junior and community colleges, university level undergraduate level courses for students who want to expand their knowledge of the microscopic world, in general, or for use in professional or further studies. Microbiology audio titles are fundamentally for the general microbiology course taught at a level which should allow for seamless continuity and integration with Nursing, Medical, Dental and Allied health Microbiology courses. The Microbiology audio lectures set is suitable for individual students or institution.